Posted on March 21, 2017 at 1:17 pm. For Tobacco 21, our message is spread to communities through advocates who are as passionate about the cause as we are. 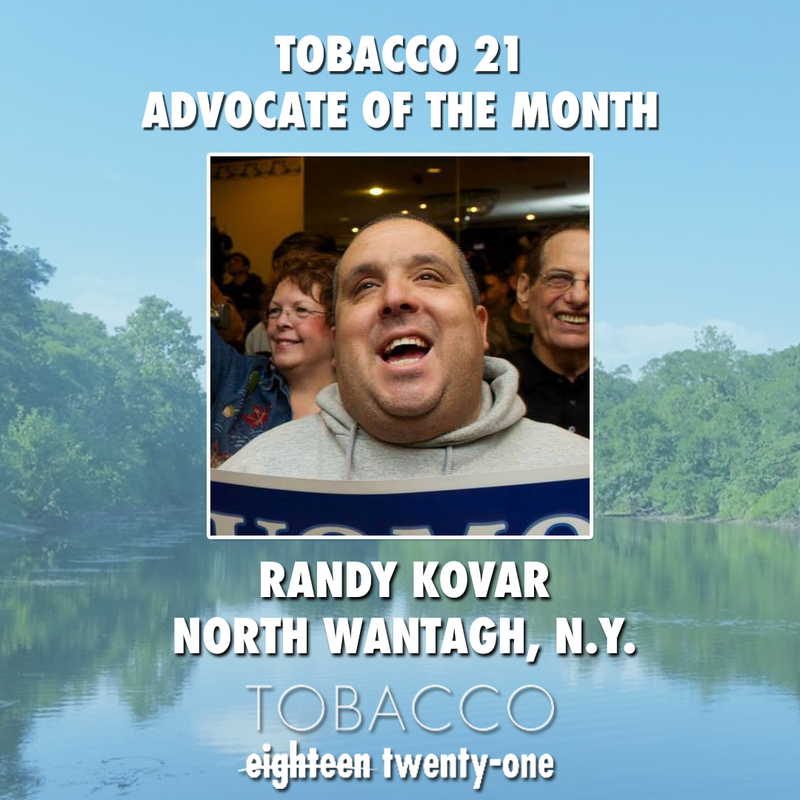 For North Wantagh, N.Y., resident Randy Kovar, Tobacco 21 is a cause that he advocates not only in his own community, but he urges a change to raise the age all over the country. Kovar lives and works in Nassau County, which is adjacent to the New York City borough of Queens. New York City implemented Tobacco 21 in May 2014, and Nassau County’s tobacco purchase age is set at 19 years of age. Although a previous Tobacco 21 initiative had failed in Nassau County, Kovar is persistent in his efforts to raising the age in his county and protecting future generations of Long Islanders. “I believe it will saves the lives of many young people from starting the filthy habit at such a young age,” Kovar said. As a long-time Tobacco 21 advocate, Kovar is optimistic about the future of Tobacco 21 in Nassau County and communities across the country. His key advice is persistence and never giving up. If you’d like to become an advocate in your community like Randy, download our advocacy materials HERE! Posted on March 2, 2017 at 4:40 pm. 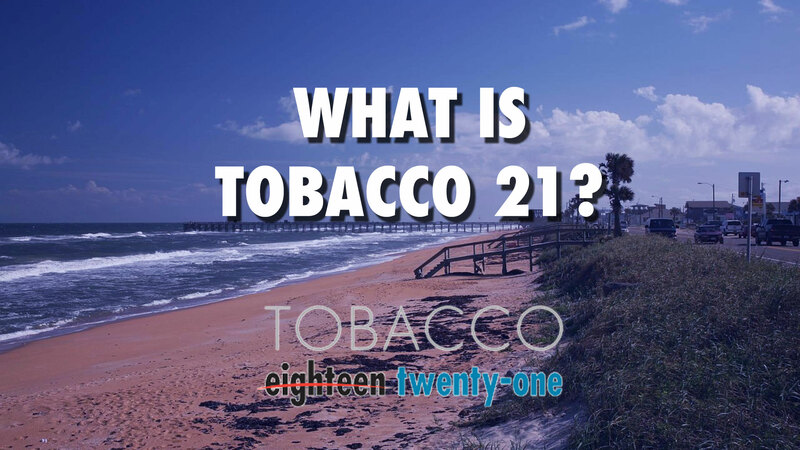 Tobacco 21 is a national campaign taking a local approach to raising the tobacco sales age from 18 to 21 years of age. Established in 1996, Tobacco 21 and the Preventing Tobacco Addiction Foundation strive to reduce smoking and tobacco use through a preventive effort locally and on the state level all over the United States and American territories such as Guam. Over 220 cities and two states, Hawaii and California, have already raised the age, and your city or state could be next! The younger the buyer is, the less likely they are to achieve a purchase even with current shoddy enforcement. Moreover, most social sources of tobacco for teens are themselves younger than 21. Age 21 reduces initiation in younger kids and inhibits consolidation of addiction in older teens. The National Youth Tobacco Survey reports that in 2014 overall use of tobacco among youth rose, exposing dangerous new trends. Clever marketing by the tobacco industry, pushing small cigars, hookahs, e-cigarettes, and flavored vaping products, has put millions of young people at risk of lifelong lethal nicotine addiction. We’ve also learned a lot from the age restriction on alcohol. After the age was raised to 21 in all states, total drinking by high school seniors dropped by 38 percent, binge drinking fell by a similar amount, and daily drinking fell by half. Enforcement remains spotty and drinking by teenagers remains a serious problem, but those gains persist even today among teens. Most significantly, today’s 30 year-olds also drink at a significantly lower rate than those of a generation ago. Clearly, not all of this effect was due to increasing the legal drinking age. Many other forces were also at work. However, a study examining just those states where the legal drinking age was raised shows a significant effect. You can get involved by educating you and your peers on the Tobacco 21 movement and present your concerns about teen tobacco use to your local governing bodies such as a City Council or State Representative. You can also request an Advocacy Kit from Tobacco 21 with everything you need to know about the movement.